We are always adding new endorsements so check out the newest ones towards the bottom of each section. 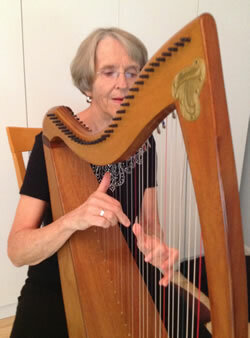 See our video of 4 customers who tell their expereience of their Thormahlen Harp on the Swan endorsement page. Many many thanks again for my beautiful, sparkling new harp. I've been bathing in its sweet, even tone and am absolutely thrilled with it. It has a really bright, alive sound. I love it. I will be playing it Saturday night in a concert with cellist, Natilie Haas. Thanks a million. I'm enjoying my new Ceili so much. 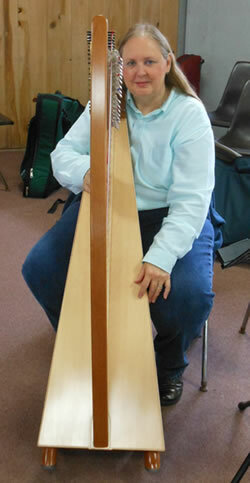 Of all the folk harps I've tried it's the easiest one to play, and has no stress on my poor little right shoulder. As you have noticed, it's the kind of harp that plays itself: One little touch and the harp resonates from one note into the next, drawing you on with perpetual invitation. The middle-high register is clear and delicate, yet with plenty of depth when I call on it. The low register is like a giant pool of cool water to plunge into on a hot summer day, with plenty of soft cushy resonance. As I've been working with my hospice patients, I've started playing some of those fast jigs I've been avoiding because of the tension in my shoulder. Suddenly I can play them again with no pain. Now, that is a harp. I can’t get anything done because I can’t stop playing my harp! This was it’s “coming out” week. 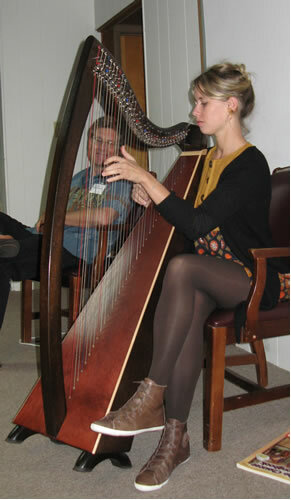 The harp ensemble members loved it and thought it was just my color and size, and of course, loved the sound. My Irish trio loved the sound and said “Now, that’s what a harp sounds like." 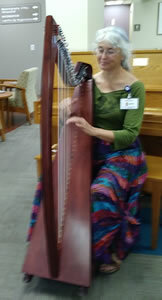 I felt I was offering so much more to my Hospice patients with it’s rich resonance and finally, last night at a reception performance with the trio, I plugged in. It boomed across the room and my band member said she could even hear it in the bathroom :)) and that was with the volume between 1-2! Picture on right is Michael Rooney approving of Lorinda's new harp. Thank you so much for all your help in choosing my new harp. I cannot tell you how delighted I am with the instrument . It is exactly what I was wanting and it sounds so beautiful! Her name will be Sylvia after my mom who taught me music and to love all things Irish. Thank you so much for creating this beautiful harp. The sound is so beautiful, the resonance of the instrument is just gorgeous. I love everything about the harp - the sound, the color, the shape, the feel of the wood. It's so hard buying an instrument without trying it in person - but if I had gotten the chance to try it, its the harp I would have chosen. I received my harp and I literally can't stop playing it. It's my new best friend! I love how the strings just pop so easily off of my fingers, and the depth of sound is unbelievable for such a small frame. I am overwhelmed with how perfect it is! Thank you so much for your talents and outstanding customer service. I can't wait to see where this harp takes me! After placing an order for a Ceili back in October I noticed a Thormahlen ad in the Folk Harp Journal. It was a picture of a Ceili with text that said "your dream harp." I clipped it out and pinned it up. When my Ceili arrived and I started to play I found it to be true! This instrument was my dream harp! I can't wait to go amp shopping and bring it to the dance music scene! I would like to thank you again for making me such a wonderful harp! I named her Weegie from our trip to Glasgow to audition at RCS. You made my harp for me so I could have a travel harp to audition with for college. I have been accepted to Berklee College of Music in Boston! I am extremely excited to start this fall at one of the most prestigious music colleges in the U.S.. It is an amazing opportunity and I do not know if I would have been accepted without your harp. I mean that quite literally; in part of my arrangement for a tune I switch hands so my right hand is an octave lower on the strings than my right hand (which is an octave higher than it usually is) and that is more difficult to accomplish on my other harp. 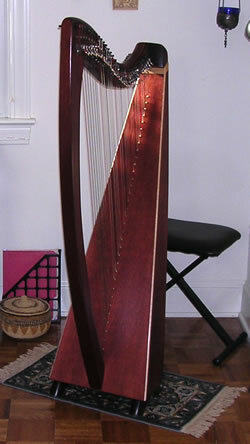 I will also be taking my Thormahlen harp with me to college and am ecstatic to begin learning there. Another bit of information that you might like is I played your harp at the competitions I was in last summer. At the New Hampshire Highland Games, I came in first for the Masters level and I ended up coming in second place for the National Scottish Harp Champion of America at the Stone Mountain Highland Games! Thank you so much for making wonderful harps! Want to tell you how happy I am with the harp. Other than my first harp, I have always had a major adjustment period where I wasn’t sure I like the sound and feel. Have not had that with this harp. I took to it right away. I love the sound and the touch. Thank you for such a fine instrument. I love everything about this harp, and one of the things I like most is the consistency of tone quality. Playing it is a sensual experience, like cutting through soft butter or snuggling into smooth suede. The resonance is so rich that the Ceili almost seems amplified. The light string tension is easy on my hands. 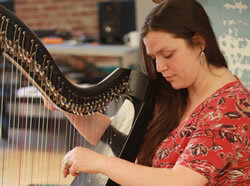 The velvety sound quality of the Ceili has me noodling and enjoying my harp experience more, constantly composing. It definitely brings out my creativity. I love the extreme light weight and portability, and gorgeous profile. It stands well on its feet and fits into a small car! Thanks, Dave and Sharon -- you have come up with a jewel that will fulfill many harper's dreams." I absolutely LOVE my gorgeous Ceili harp!! I got one with folk gut strings and the sound is superb, so warm and luscious! 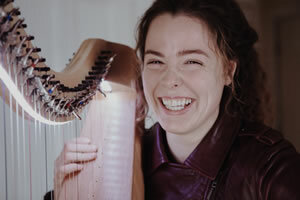 The harp is also so comfortable to play- I feel I could go on for hours, without fatigue or pain and that is huge for someone with musculoskeletal issues like me. After putting on some new strings, I just finished regulating the harp- MYSELF! I couldn't believe how easy it was! I love the Camac levers on the Ceili! And, I can't say enough good things about the Thormahlens' customer service. They will bend over backwards to make sure the customer is totally satisfied! Thanks Sharon and Dave for my beautiful harp and the great service! You will definitely see more of me in the near future. I just wanted to thank you both from the bottom of my heart for this gorgeous new harp in my life. I love her so much and have been enjoying every second of it! Aside from being a stunning sight to behold, the harp's voice is perfectly balanced and oh so rich. Thank you so many times over! Just want to let you you know I love my new harp and everything about it...it is gorgeous, the sound is beautiful and it is very comfortable to play!!! I look forward to playing it everyday! Thanks again for everything! I am thrilled with my new Ceili. What a gorgeous instrument! I love the sound, the feel, and the fact that I can fit it in the back seat of my Corolla. I am so enjoying my Walnut Ceili Mor. 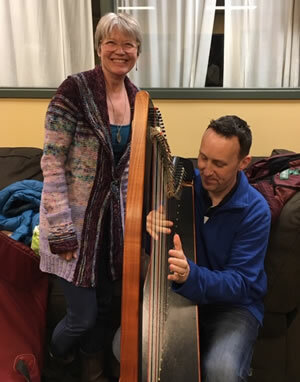 We just returned from Scotland and Ireland where we heard lots of wonderful music but really missed my harps and my husband and I were so glad to get back to our Thormahlen instruments. The harp stork brought me a new black Ceili and I'm just crazy about the huge sound, fluorocarbon strings, and it only weighs 18 pounds. It's just so nice having a smaller, lighter harp to play the Grainne stuff. It’s 10:40 on a Thursday night and I CAN’T STOP PLAYING MY HARP! I love it! I may just send these “ I love it” emails every few months for the next 70 years! 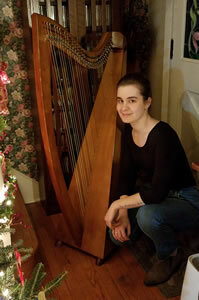 I am ABSOLUTELY LOVING my new Clare harp!! Thanks sooooooo much for creating it!! Clare will be making her debut next Tuesday for a Holidays and Hope event of our local hospice, and for a benefit concert for the CARE network here in Franklin, NC. I wanted to write and tell you how thrilled I am with my new Ceili…. This could not have been a better choice for me with only 18 pounds to load in and out of the car at least 10 times a week. Not only do I love its lightness, but the fluorocarbon strings practically play themselves. I can play for two hours and not get blisters under calluses. AND…. I so love the fact that I can do the upper range with confidence. The notes seem so clear and reachable. I love love love it. I drove to the terminal to pick up my 2 harps yesterday because I couldn't wait until Monday for delivery. Out of all the harps I have owned (and there have been many) these are the BEST. What I love: the weight, the natural look of the wood, the feel, the sound- everything! They will be so much easier to transport through the halls of the nursing home. The tone of both the Ceili and the Serenade is organic, beautiful and even, top to bottom, taking me away to a better place with no unpleasant surprises. Both harps are very forgiving of my less than perfect technique, and encourage a more expressive style of playing. The Ceili will make its debut in church this afternoon, and will be especially helpful for easing my tendonitis. Hopefully I will get the opportunity some day to express my thanks and praise in person for building these remarkable harps...they are exactly what I have been looking for. The black koa Ceili arrived and I love it! I have so many other things to do today, but I have just been sitting here trying my tunes out on it. It has a gorgeous sound, and so different from the Swan. I can play with different voices whenever I feel like it. I love the tone. It's definitely not shy! Thank you both so much for inviting us into your shop yesterday. 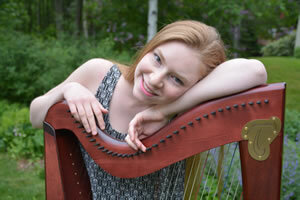 When I first saw the Ceili, and then heard its exquisite sound, knew it was the harp for me! It is everything I wanted. I’m just ecstatic about it! I’ve even caught my husband, Carl, plucking the strings. He agrees-it sounds heavenly! Having this beautiful instrument will provide motivation and joy as I pursue this next musical adventure. I’m absolutely thrilled! Shortly after my mahogany Thormalen Ceili-Mor, named Morigan, showed up, my old harp packed herself off in a huff to a new owner. I am happy for her, and for me and Morigan! My new harp is fabulous! She has a MUCH better attitude than her predecessor, and we get along just fine. The sound is full, lush and resonant. The fluorocarbon strings feel wonderful and hold the tune extremely well. She plays Celtic and classical-both sound great. A very versatile Lady. Guess I'll keep her around. My harp came and I love it sooooooooooooooooo much. It arrived safe and sound. It is soooo beautiful, whoever worked on putting it all together... Wow, what craftsmanship. I don't know how you do it. I guess it is a God given talent. Thank you again. My harp has arrived and it is absolutely gorgeous! It sounds wonderful and was just about in tune when I unpacked it. I can’t wait to start writing music for it. The harp lights are amazing- someone should have invented them years ago. I love turning off all the house lights and just having the strings and my hands illuminated! I love everything about this harp! (Have I mentioned I love it?) Thank you both for building such a wonderful instrument. 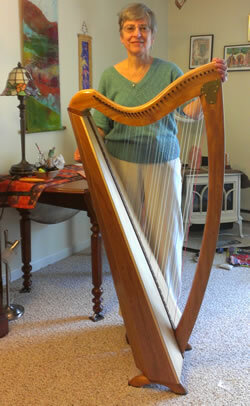 Just look at my beautiful new harp made by Dave and Sharon THORMAHLEN in Corvallis, OR. Isn't she beautiful? Her name is Roisin (Ro-sheen.) I have waited so-o-o long for this harp and I am so happy. Her sound is just mesmerizing. My lovely Ceili is going to be played at the Royal BC Museum on the 13th October for a birthday party. What a great harp. Big beautiful voice with an enviable clarity, light enough for me to haul and elegant to look at. It doesn't come much better than that. The date seems to be right for Jillan and I to raise a glass for your Anniversary. She is also playing and we are joined by Josh Layne who will make us look and sound good. I cannot let another day pass without telling you how much I totally love the koa Clare harp I picked up at Southeastern harp weekend. I was smitten the moment the case was opened and saw how beautiful it is. But, oh the sound, just takes my breath away! Here we are a month after Southeast and I can hardly bear to put that harp down. 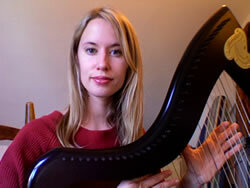 I have OCH, obsessive compulsive harp! I am ever so grateful for this harp. Everything about it is simply wonderful and I thank you for the fine craftsmanship and beauty of sight and sound of this harp. Many blessings to you! I've had the problem for some time of my harp getting somehow heavier and heavier each year. 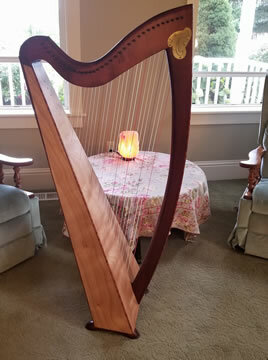 My harp had somehow gained weight over the years...I just brought home a beautiful Thormahlen Ceili from Sharon and Dave in Corvallis, OR. It has a lovely big and bright tone and weighs 19 lbs. I'm adjusting to the difference in string spacing and tension, and that process is going well. Y'all know I've been a Dusty girl - I've owned six of them over the years, and I will of course keep my gorgeous FH36 bubinga for local concerts. And I've got a lovely Rees Corlieu double-strung that I love to play. Now I've got a Thormahlen Ceili and my family is complete! 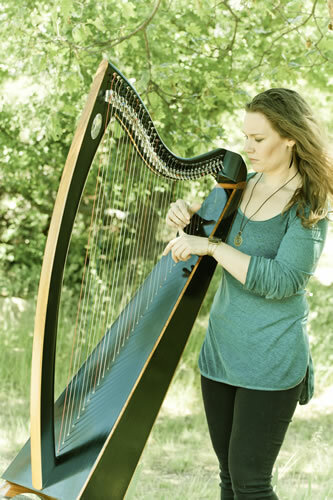 I am LOVING my Clare - it is astounding how much sound this harp puts out!! So far, I have done two programs and two concerts with it and I didn't even need my amplifier - wowzers!!! It is effortless to play and the sound is so mellow and full. I am going to make a YouTube video as soon as things settle down around here after Somerset. I am playing for a wedding at Laguna Beach this Saturday and I am sure she will sing beautifully - I have named her St. Cecilia. 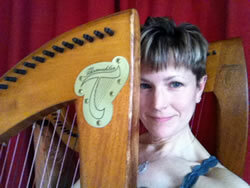 You will be pleased (but not surprised :-)) to know that Virginia (my harp teacher) loved the harp! She thought it sounded fantastic. She thinks it is a great harp. She loves the light touch and big sound. I am so glad about this, because in the beginning of our email correspondence, she was not so enthusiastic about the carbon strings. She really changed her mind when she played my harp. I am really enjoying the harp myself. I played it outside on our deck over the weekend and was really feeling blessed and comfortable with it. The only thing I would change if I had to do it over again would be to get the staved back, I think it would be a little more comfortable. But I know that is not possible now and I am very happy with it. I've already gotten to play my new Ceili three places: an art gallery reception, a farmers' market, and a prayer service. I used my amp at the outdoor market. It was so easy to just plug into the harp. Yeah! The other two places I didn't use my amp, but the harp sounded so rich and full. The sound really filled up the rooms. Everybody loves the new harp. 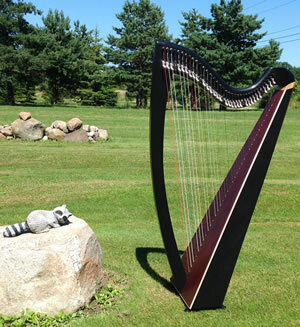 Tell Dave he's a genius for getting the beautiful, full voice of the harp into such a comfortable size. I don't feel like I compromised anything by getting a smaller-sized harp, and I gained a lot because it fits me so well. My harp arrived today, 3 days ahead of schedule. It was only 20-degrees out today. I expected tuning to be a long and delicate process. SURPRISE! SHE WAS IN TUNE! After 4 days of travel in wintertime, she arrived IN TUNE! I am flabbergasted. So I played a few of my favorites. The tone is lovely and even, just as I remember. Most of all, though, is its comfort. No straining, stretching, leaning, fidgeting, making allowances or working-around. No muscling the tone out of the strings, no having to pull the music out of the harp. I just play and relax. And on this harp I can reach 4-finger chords! New songs and arrangements might be possible. Thank you both, and your workshop cohorts, ever so much! You made my day, Sharon. The harp really is gorgeous. It's the perfect size and the sound...to think its still quite new and that the sound will just mature. Lovely. So very different with Folk Gut strings and far more my style. What a great little harp.I cannot tell you how pleased I am with this instrument – I had lots of time to play it over the past few weeks and I have to say that she and I have truly bonded! I’m thrilled with my Clare, I adore her! pleasant. So thank you, for taking the lead in building a harp with a narrower string spacing using gut strings and for building such a gorgeous harp at the same time. The spacing, as it turns out, is perfect for my hands. 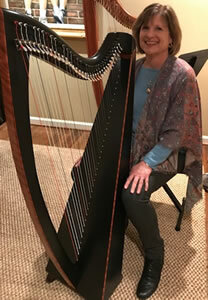 I always had issues reaching for strings (very small hands) and my teacher, Sharlene Wallace, is perpetually moving chords around to accommodate them, but this harp allows me to play things I couldn't before. Just lovely. 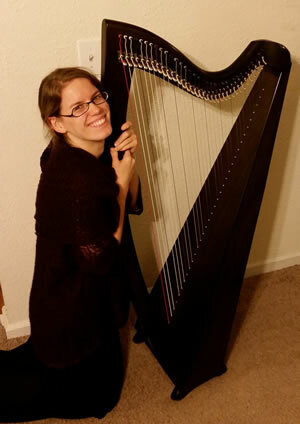 After one hour of playing, I am totally in love with my new Clare harp. It has a most lovely and gente voice. Thank so much. Thank you to Dave. I am so very pleased, Clare is beautifully made and creates liveliness to the ears. God bless you both. 2009 I just want to let you know my Koa Ceili-Mor arrived today. It is a beautiful instrument. The feel is soft and easy and the tone is just as you described it - bell-like. I have fallen in love with it and know that I will have many hours of playing enjoyment. Thank you very much for all your advice and help and for this lovely harp. I'm glad you made a video of unboxing the harp. That is certainly one sturdy package, and with your guide I had no trouble unpacking and reassembling the box. I just wanted you to know how much I love this harp!! The harp arrived today in fine shape! It is really a beauty and the sound is GREAT. It's actually amazing how very similar the sound is to my black Ceili, even tho the black harp is 9 months old. Ceilis seem to sound all remarkably alike. Plus it was ready to go the minute I got it out of the box-it was in perfect tune. It may be those fluorocarbon strings. 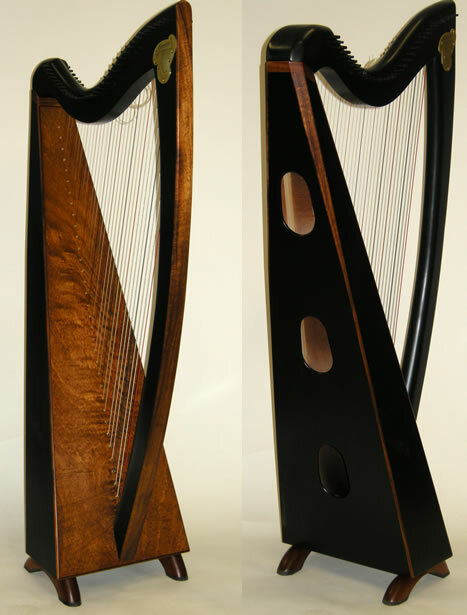 It's going to be my Eb harp, and the black will be the C harp. I have achieved Harp Nirvana! 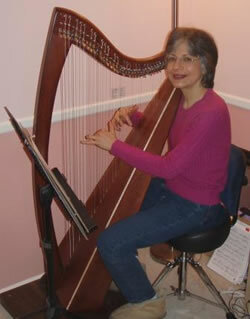 Thanks so very much, Sharon and Dave, for all your excellent customer service and your beautiful harps. Another happy customer. My new Ceili has surprising volume and I love the tone, brightness, clarity, ease of playing, design and so far, everything about it! The string spacing is a bit less than on my other harp, so that will take some getting used to, but I think it's worth it. Considering the temperature change, it arrived in fairly good tune. The ease of the tuning pegs surprised me. They are very sensitive, compared to my Salvi. And what a gorgeous carrying case you sent with it! Thank you. This harp is a dream come true for me and I'm grateful for all your patience in working with me to pick it out. The harp arrived and is as beautiful as I could want. The sound side by side with my other harp is so much more resonant, sweeter, vibrant and clearer. It's such a different experience playing it. It's incredible. The bass notes are wonderful and rich, the treble clear and bright and warm, and the odd difference between wound bass strings and nylon strings on my other harp doesn't exist on this harp - it's consistent throughout the full range. It feels so uplifting and healing resonating against my body. Thank you and your husband for such a beautiful thing. 2011 Playing my new Koa Ceili-Mor has been a joy - it is physically so much easier to play than my other harps, and the tone is absolutely lovely. 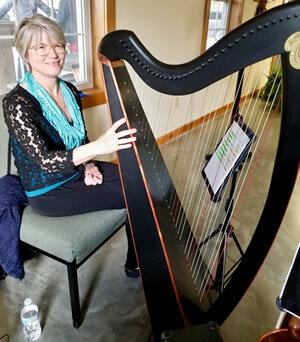 I took the new harp out for my first gig on St. Patrick's Day, and got a lot of positive comments about the music. That's saying something in a restaurant where the music is generally in the background. And there was a lot of admiration for the look of the instrument itself, all the beautiful craftsmanship. 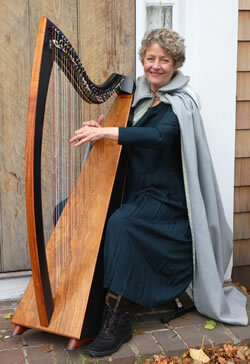 I have since taken it to church and again people admired the harp itself as well as appreciating the music. Several of my friends, who have heard my other harps in the same setting, commented that the tone of the Ceili-Mor is outstanding, and noticeably different from the others. One said the sound was sweeter and more pleasant, and carried well without amplification. I think the koa makes all the difference. I am so pleased with my new harp and very glad I gave in to the temptation to buy it. Thank you again for your helpful and friendly service. 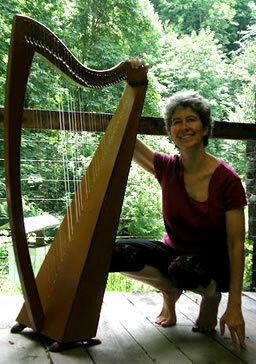 The Ceili-Mor is a wonderful harp, and it is a pleasure to play. 2013 Margery continues to be a satisfied customer: You might remember me as the customer who bought a lovely koa wood Ceili-Mor several years back. I continue to enjoy playing the harp immensely, and would like to express my thanks as a satisfied customer and musician. I'm sorry it's taken me so long to tell you how much I love the walnut Ceili-Mor that I bought from you last November. It is perfect for my little hands and I love the fluorocarbon strings! It is a true joy. I LOVE my new Ceili harp!!! I just wanted to let you know that I received my brand new Ceili this week and I am absolutely loving it. The sound is gorgeous and it is so easy to play! I had been having some wrist and hand pain after long practice/performance sessions with my previous harp and it looks like those will be things of the past. The height on the harp (with the tall feet) is also perfect (for me) - I can sit in a variety of chairs without having to hunch awkwardly. Thanks again for your excellent customer service and this beautiful harp. I absolutely love the harp. We still have to get used to each other a bit – but I absolutely love playing and using it. It’s small and light, easy to transport, modestly beautiful and the tone is mellow and clear and resonates effortlessly. It’s everything I hoped for. I feel happy and inspired by it! It’s name is ‘Asha Celicia’ Asha is an Indian name that comes from the Sanskrit word for hope or desire or wish. And Celicia for the patron saint of musicians in the Catholic tradition. Both names felt meaningful with the work it’s doing and being used to do here. I picked up my harp today. The harp is just as beautiful as I remembered and the touch is wonderfully light. I can hardly wait to get good enough to do it justice! Check out the instock page to see what's available right now.